I’ve recently fell in love with the autumnal skies. 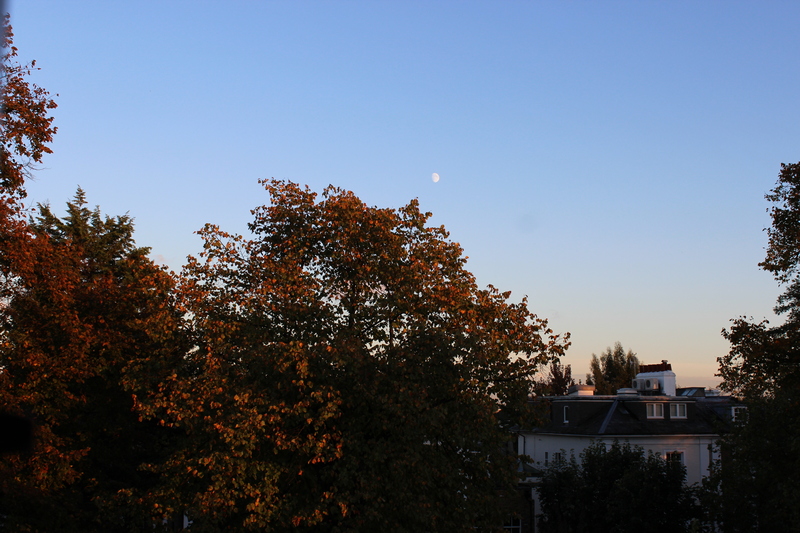 This was a view from my room in Barnes this evening and I love the colour of the trees against the orange to blue skies that we’re seeing right now. I also had the pleasure of being awake at 5:30am when it was pitch black and then travelling to St Neots. As I progressed in my journey from home to Hammersmith and then on the train from Kings Cross, it just got brighter and brighter.